We request all land based stations as well as ships at sea in the areas affected to send us weather data (measured or estimated) and damage reports. If you are in the affected area and normally monitor on a local Net on VHF, 40 or 80 meters, we would appreciate your checking into the HWN NET or EchoLink/IRLP Net once per hour to receive the latest Hurricane Advisories and to report your local conditions. Please do not venture outside during the hurricane to gather weather data. Your safety is the first priority. There are many constantly changing atmospheric variables that affect the storm’s track and strength. WX4NHC will be monitoring the Hurricane Watch Net www.hwn.org on 14.325 MHz. Secondary HF frequencies will be 7.268 MHz and 3.950 MHz +/- QRM, should we loose propagation on 20 meters. WX4NHC will also monitor CWOP, APRS and MADIS/MESONET Automated weather stations in the affected area. Surface Reports using our On-line Hurricane Report form will be monitored. Amateur Weather Enthusiasts and ON-NHC Volunteers may report directly to WX4NHC on-line. ON-NHC Volunteers are both Ham Radio Operators and Non-Ham weather observers that use their own weather instruments to submit "Surface Reports" directly to NHC over the Internet via the WX4NHC on-line report form. These "Surface Reports" are very important as they give Hurricane Specialists at NHC a better idea of what is actually happening on the ground level during the storm. The WX4NHC Group continues to expand its efforts to increase the quantity and quality of surface reports to include many different modes of reception and groups of people; including HF, VHF/UHF IRLP & EchoLink, VHF & HF APRS, CWOP NOAA Program and ON-NHC Weather Observers Network. WX4NHC is very proud to have maintained an active Amateur Radio Station at the National Hurricane Center for the past 31 years. We appreciate all of the volunteers who help with our efforts. OUR MISSION: TO HELP SAVE LIVES. NASA solar physicist David Hathaway told hams at the Huntsville Hamfest in August that solar Cycle 24 will likely be the smallest in at least 100 years, in terms of maximum sunspot numbers. But he says it is too early to know if this cycle is a precursor to what some scientists are predicting to be "the death of sunspots" or a "little ice age." In a talk titled "The Sky is NOT Falling," Hathaway explained why predictions of "killer flares" capable of causing massive disruptions are not likely to occur -- mostly because of too few sunspots. At the same time, he said, predictions of future cycles with no sunspots -- based on observations to date -- are premature because the "missing" activity is associated with the peak of the sunspot cycle, which is not yet here. Hathaway's current prediction is that Cycle 24 will peak at a maximum of around 75 in mid-2013, the lowest peak in the past century. And while he says it is too early to write off Cycle 25 completely, he feels it could be even weaker than the current cycle. He admits, though, that "every time you come up with a model, you find a problem and you have to go back to the drawing board." Good news for Heathkit fans -- the company says it is bringing back kits! Heathkit was a major player in the U.S. ham radio marketplace from the 1950s into the 1980s, and was the dominant kit manufacturer of the time. It left the kit market in 1992 amid sagging sales. An announcement on the company webpage says its return to kit-making will start out with "common around-the-house items," including an ultrasonic "Garage Parking Assistant" and a wireless swimming pool monitor kit. No word yet on whether radio kits are in the plans; however, Heathkit is asking kit-builders to submit suggestions via its website at <www.heathkit.com>. In a news release and media teleconference long on buzzwords and short on specifics, the National Weather Service announced that it is "launching a comprehensive initiative to build a 'Weather-Ready' nation to make America safer … as communities across the country become increasingly vulnerable to severe weather events." The plan calls for improved forecast precision and better communication of risk to local authorities; improved "weather decision support services," including mobile-ready emergency response teams; improved radar and satellite imagery; stronger partnerships to enhance community preparedness, and working more closely with emergency managers and "weather enterprise partners" such as TV stations to "enhance safety and economic output and effectively manage environmental resources." Pilot projects are slated for New Orleans, Fort Worth and the Washington, DC area. There was no specific mention of SKYWARN or the role of trained volunteer severe weather spotters in a "weather-ready nation." 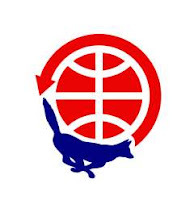 In an effort to get a new satellite built and launched quickly in order to replace the troubled AO-51, AMSAT has decided to split its "Fox" cubesat project into two satellites, Fox-1 and Fox-2. The AMSAT News Service reports that Fox-1, the intended replacement for AMSAT-OSCAR-51, will contain only an FM transponder and a simple computer system for telemetry and control, built into a standard cubesat spaceframe. A target launch date for Fox-1 will be the second half of 2013. Fox-2 will contain the advanced technology currently under development for the project, including a software-defined linear transponder, an advanced power system and a spaceframe with deployable solar panels. The target date for launching Fox-2 will be 2015. Anyone who has received downlink signals from the ARISSat-1 satellite that was hand-launched from the International Space Station in early August may submit reception reports and receive a PDF certificate by return e-mail. Reports from students and school groups are particularly welcome, according to the AMSAT News Service. There are different e-mail addresses to which reports should be sent, depending on what information was received. For details visit the ARISSat website at <http://arissat1.org>. As of this posting, the satellite was still operational, although its batteries were draining more quickly than expected. Updates are available on <http://www.arissat1.org/v3/>. In addition, DXCC Manager Bill Moore, NC1L, announced that the general <dxcc@arrl.org> e-mail address is no longer in use. Instead, anyone with questions related to the ARRL's DX award is requested to go to <http://www.arrl.org/awards-branch-contacts> and follow the prompts to direct their e-mail to the proper person. Also on the DXCC front, the RTTY DXCC award has been renamed the Digital DXCC award in recognition of the growing number of digital modes beyond traditional radioteletype. Three separate reports are in the news this month of hams helping to track down and resolve interference on the HF amateur bands. The first involved "swishing" sounds heard on the 60-meter (5 MHz) band, first assumed to be signals from the primary users of the band (hams have a secondary allocation there and must accept interference from primary users). However, a joint effort by ARRL Official Observers and researchers at Rutgers University in New Jersey determined that the signals actually were coming from Coastal Ocean Dynamics Applications Radar (CODAR) systems and did not belong on 60 meters. CODAR is an HF radar system used by researchers to study ocean waves and currents. According to the ARRL Letter, the effort led to a frequency change by CODAR, ending the QRM on 60 meters. In a follow-up action on the west coast, what appeared to be CODAR activity that was causing interference on the 12-meter band was tracked down and the local ARRL OO Coordinator helped resolve the issue. Finally, Newsline reports that hams around the world worked together in a global hidden transmitter hunt to triangulate the location of the source of a stream of Morse code dits that was heard worldwide for more than a week. It seems that a station in northern California (whose name and call have not been released) accidentally pushed a keyboard against his keyer and unknowingly activated it. The signals stopped immediately after he was contacted by the ARRL. 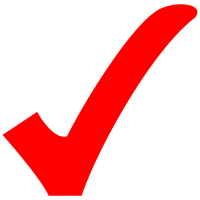 The FCC is considering a petition by the Anchorage Volunteer Examiner Coordinator (VEC) to grant lifetime credit for exam elements passed in earning licenses that subsequently expired and were not renewed during the two-year grace period. According to Newsline, the petition asks that the FCC permit volunteer examiners to give former holders of Technician, General, Advanced, and Extra Class licenses appropriate element credit so that they can obtain new licenses without retaking the examinations. The Anchorage VEC says this is in the public interest because it would result in the immediate expansion of the pool of experienced operators who would be available in times of emergency. Currently, FCC rules permit lifetime credit for Element 3 (the General exam) only to holders of Technician licenses that expired prior to March 21, 1987. The comment period on the petition closed on August 19. The FCC has said no to a petition asking for a rules change to automatically bar all convicted felons from ever holding an amateur license. Newsline reports that the request was filed this past May by Bernard Parker, K5BP, of Dallas, Texas. In dismissing the petition, the FCC said such matters are dealt with on a case-by-case basis in order to take into account any mitigating factors or subsequent rehabilitation. It also said Parker had not provided a compelling argument for the Commission to revisit its current policy, especially since it already has an established process in effect for determining whether a felony conviction is grounds for denial of an amateur radio license. You’re invited to join Editor Richard Fisher, KI6SN, for the Popular Communications and WorldRadio Online live online chats, each being held on Sunday, August 7. The Pop’Comm chat will kick things off at 4 p.m. Eastern Daylight Time (2000 UTC) on the Pop’Comm On the Web blog: < http://www.PopCommMagazine.blogspot.com >. WorldRadio Online’s live Internet chat begins at 8 p.m. Eastern Daylight Time (0000 UTC) on the WorldRadio Online Blog at: < http://www.WorldRadioOnline.blogspot.com >. To join in, simply visit the magazine’s website at chat time and click on the Cover It Live Box, which will link you right into the chat room. If you’d like a reminder about the chats, visit the websites now and register for an email heads-up. The chats are friendly and casual. We hope to see you there. 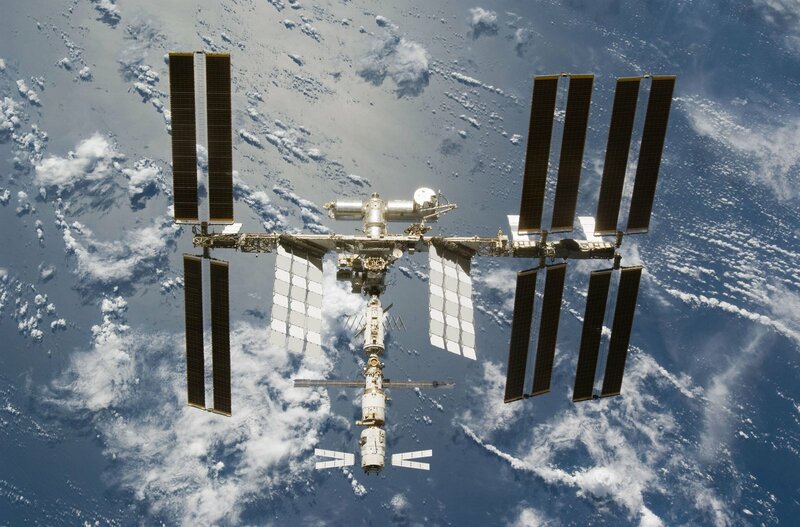 According to a report from Southgate, the amateur radio satellite ARISSat-1 has been deployed from the ISS during EVA-29 on Wednesday, August 3 by Cosmonaut/ Flight Engineers Sergei Volkov and Alexander Samokutyaev. First signals have been received by JR8LWY reporting copy of the telemetry beacon as the satellite passed over Japan. Full operational capability of ARISSat-1/KEDR is still under evaluation pending performance evaluation of the UHF antenna. Please submit your reception signal reports on amsat-bb and via the mission's email boxes on < http://www.amsat.org >. AMSAT President Barry Baines, WD4ASW, observed, "Welcome to a new era as AMSAT returns to space with ARISSat-1/KEDR. I encourage all hams, SWLs, educators, and experimenters to enjoy the unique opportunity presented by this mission to learn about amateur radio in space, enhance and improve your station, and hone your operating skills as you try out all of this satellite's features." Barry continues, "ARISSat-1/KEDR marks a new type of satellite which has captured the attention of the national space agencies around the world for the unique educational opportunity we have been able to design, launch, and now operate. By designing an educational mission aligned with NASA's science, technology, engineering, and mathematics goals amateur radio operators around the world can now enjoy a new satellite in orbit." The ARISSat-1 amateur satellite was deployed by spacewalking cosmonauts today at approximately 1845 UTC, according to minute-by-minute postings by CQ VHF staff on the CQ VHF magazine Facebook page. The deployment was delayed for about three hours after the satellite was taken outside the International Space Station due to questions regarding one of its antennas. Ultimately the decision was made to toss it into space and put it in orbit! No word as of this posting as to whether the satellite is functioning independently. You may follow progress on the ARISSat-1 web page. Space Station during EVA 29 on August 3. NASA TV will cover the EVA live starting at 1400 GMT on August 3.
should be transmitted shortly after 1520Z." east Asia should be the first areas to receive the signals. your email - ARISSat-1 reception report. receive a PDF certificate by e-mail. receive a PDF certificate via email. waiting for their station to be in range. to CQ VHF Editor Joe Lynch, N6CL. CQ VHF magazine editor Joe Lynch, N6CL, received the Central States VHF Society's Mel Wilson, W2BOC, Memorial Award at its annual banquet, July 30, 2011. The award was presented by Kent Britain, WA5VJB, the Society's Awards Manager (and Antennas Editor for CQ, CQ VHF and Popular Communications). The award is for continuous service and dedication towards promoting VHF and UHF amateur radio activity. 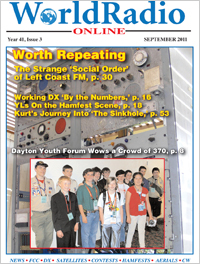 Lynch has served 8-1/2 years as the magazine's editor and 20 years as CQ magazine's VHF editor, along with editing the Society's 2003 and 2005 Proceedings. Lynch is also the author of The VHF "How To" Book (currently out of print). Two other major awards were also presented at the ceremony. The Chambers award for technical contributions to amateur radio went to Joe Taylor, K1JT, developer of the WSJT suite of weak-signal modes; and Gene Zimmerman, W3ZZ (recently retired QST VHF Editor and former CQ World Wide VHF Contest Director), was presented with the President's award for his lifetime contributions to the VHF and UHF community.